Today Big Buddha is offering a pair of their Rilo Oxfords to one lucky winner! I also have to add that I am extra excited about today's giveaway- Big Buddha sent me a pair of these, and they've quickly become my most favorite pair I own. They're not only incredibly adorable but really comfortable (as I'm finding with most Big Buddha shoes). For a third entry, blog about this giveaway, leaving one more comment with that link, and your name and email again. Feel free to use the images above. And for a fourth (bonus) entry, become a fan of Sometimes Sweet on Facebook! Then leave a comment letting me know you did so, along with your contact info one more time. So, you have FOUR ways to win today, via four separate comments! I'll choose today's winner at 8pm tonight, so check back later today. And then be sure to come on back tomorrow morning at 8am for the last shoe giveaway! been a follower for ages secretly, I adore these stripey beauties! Ooooo I don't own any shoes like this. Soooo cute! I "liked" Somtimes Sweet on facebook! i am a fan of sometimes sweet on facebook! I adore these. Love your cute blog, definitely a follower! Oh please let me be the winner of these cutie pies!! I "liked" Sometimes Sweet on FB! I'm a follower, and love these shoes, they've all been cute so far! i'm gonna win these shoes! i just know it! Im a follower and I never win giveaways! Maybe there'll be a glich and your random winner picker will feel sorry for me. Just tweeted the giveaway from @LordKnowsBlog! These are so cute! I've already been a follower for a long time! These are the cutest ones so far! So freaking cute! I just ordered the ones from Monday from endless but I need a second pair! I "liked" Sometimes Sweet on Facebook! Now these are just too much cuteness! I'm a follower! Cute cute shoes! & i am in awe of these pretty shoes!! Love at first sight! These are absolutely gorgeous! I love following you, by the way! These are all so super cute! I blogger about the giveaway. follower and i LOVE these. I "like" Sometimes Sweet on facebook! Ok those are amazing shoes! I've gotta at least TRY to win!! Perfect for summertime. Thanks for the chance to win. xo. I also "like" Sometimes Sweet on FB. xo. whoa this is the cutest one so far! i am also liked sometimes sweet on facebook! Soooooooooooooo Cute!! I'm a follower! I also like Sometimes Sweet of Facebook. These are my favorite so far! I have been a follower for a while. I blogged about these shoes. I'm already a follower, and these are so awesome. I absolutely love these stripes! Plus I am a follower! I'm a follower and I need these! I also became a fan on Facebook today! Now I'm a facebook fan! wow! yes i am in time to enter! 9unlike the last times) i love these! I'm a follower. These are cute! Here is my blog post about this pair and the giveaway too! Yahoo for 4 chances to win! Been following on fb since I stumbled across your blog! Those look like they could become my new favorite shoes as well. Just started following the past few weeks. And I love your blog! I'm a follower via GFC! 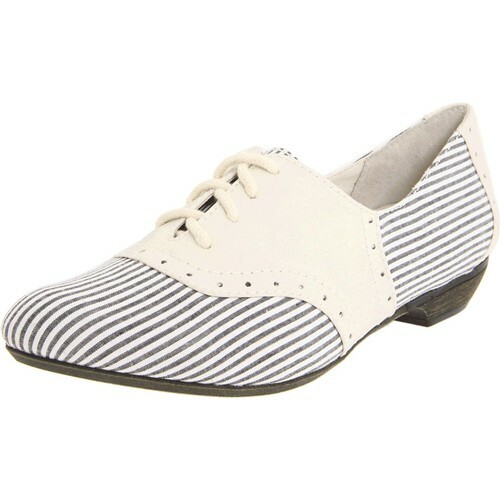 And I LOVE these striped shoes! They're so hip! I'm a fan of Sometimes Sweet on facebook! These are amazing! I'm a follower: ardorblog@gmail.com Thanks for the chance! cute shoes! they need to be on my feet ! Oh man I really want these shoes! Super cute! I am obviously a fan of Sometimes Sweet on Facebook. :) love these shoes! !